The Purdue Master Gardeners . . . 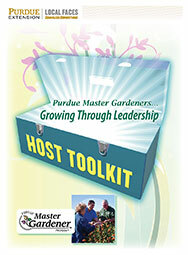 Growing Through Leadership Host Toolkit is for Extension educators who have gone through the training to host Purdue Master Gardeners . . . Growing Through Leadership programs in their counties. The 84-page publication contains everything they will need to successfully plan and carry out the five-session program. Sessions include Understanding Personality Types, Leadership and Communication, Working Together, Leading Boards and Committees, and Managing Conflict. Purdue Extension Staff: For your free copy that comes with Master Gardener Leadership Training, contact John Orick, Purdue Master Gardener Coordinator. Phone: (765) 496-7956, email: orick@purdue.edu. 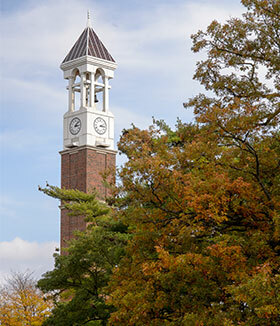 Extension Faculty/Staff Outside of Indiana: Purchase a print copy from this site to review or to use as a reference. One copy should be purchased for every trainer who uses this curriculum. Please contact John Orick, Purdue MG State Coordinator, at orick@purdue.edu., 765-496-7956, for more information about implementation of this program in your state.